The police have confirmed that an investigation into a complaint of threatening behaviour has commenced as a result of an incident that took place on Friday night [Dec 5] in the House of Assembly. This follows after a heated session which saw Speaker of the House Randy Horton shut the House down at around 10.00pm. An OBA spokesperson said, “Friday’s sitting of the House of Assembly was brought into disrepute once again by the Leader of the Opposition, Mr. Marc Bean. “Mr. Bean made an off-microphone sexually derogatory remark about the wife of a One Bermuda Alliance MP who was sitting in the Visitor’s Gallery. “Outside the building, after the House sitting was ended, words were exchanged. We have since learned that MP Zane DeSilva filed a complaint with Police about that incident, and on that point we note only that the on-duty Police officer who was present did not intervene. “Mr. Bean’s inflammatory words distracted from what was a very productive day during which legislation allowing for the use of cannabis-derived medicines was passed, progress at Morgan’s Point was announced, the economic impact of the America’s Cup was outlined and Government, after amending a Bill put forward by MP Walton Brown, voted to give the Premier of Bermuda the authority to appoint a Commission of Inquiry. “Mr. Bean’s outrageous words during Friday’s sitting are part of a pattern of disturbing behaviour that has made it difficult for goodwill to be the currency of the legislature. We also note that Friday’s incident was the second time in recent weeks that Mr. Bean has directed derogatory words toward a woman. 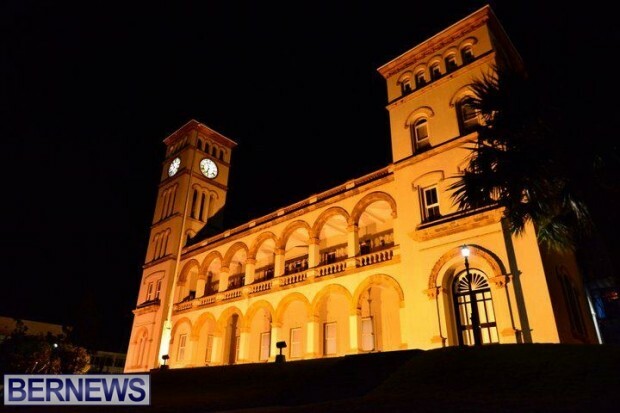 Unofficial reports conflict, depending on who one is speaking with, however unofficial reports from ‘both sides’ seem to agree that the threatening behaviour is alleged to be a ‘throat slitting gesture’, that the MPs wife referenced was Sylvan Richards wife, and that the situation was extremely heated. However, unofficial reports do conflict on who actually made the gesture and what Marc Bean allegedly said. Surely the BPS have more productive things to do with their time. Being on duty at the house is “their productive time” MP Zane DeSilva filed a complaint with Police about that incident, and on that point we note only that the on-duty Police officer who was present did not intervene…. Marc Bean AGAIN!!!!!!! Really!!!! He just had to turn a positive HOA experience into a negative. AND NO, I AM NOT BUYING IT THAT THE OBA started this to make him look bad AGAIN!!!!! If this is truly the case, why did he not just simply WALK AWAY. WALK AWAY!!!!! BE A LEADER AND WALK AWAY!!!!! Bermudians and outside investors now have a Govt. that’s for the betterment of all and not a Govt. lead by an individual who had been “a small fish in a large ocean” while being a U.S.A. citizen. He’d chose to return to Bermuda along with his “gift of gab” came the crap that did over a short period of time permit him to become, “a big fish in a small pond”…”We had to deceive / lie to you.” Don’t ever forget them words u’lot. You are a smart Somerset Girl. We have another murder and some of our MPs choose to behave like this. the America’s Cup people must be wondering what they have done …. seriously just start behaving. I could have gone to India and right below it ! You know, that throat slitting gesture can also mean ‘that’s enough. knock it off. shut up.’ Depends on context. The PLP haven’t even made an official announcement about the America’s Cup….that just goes to show how much they are “on side”. And no..the quick statement Marc Bean made on ZBM doesn’t count. Unfortunately kindness has never been a successful strategy in Bermuda politics. Would never guessed that sylvan had thin skin ! Nope …. Should be Cannonier , Pettingill and Crockwell …. OBA supports bad behavior ! Please keep both Bean and Zane. Bermuda is so much better off with both of them in perpetual opposition.